Wayzata High School is trying to find ways to cut down on crashes and congestion. Just last week, a driver struck a cross-country runner at the intersection of Schmidt Lake Road and Peony Lane. Last month, another runner was also struck at the same intersection. School officials changed the routes for cross-country runners on school property. Meanwhile, the Plymouth Police Department is stepping up traffic patrols. 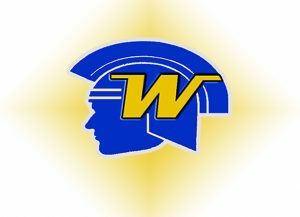 This year, Wayzata High School has the largest student population in the history of the school with more than 3,500 students. A small army of about 50 buses hits the roads each school day, while about 750 students drive to school each day. “It’s kind of hectic, just like getting out if you leave right after school, because you have to wait in a long line, or you just have to wait for the line to pass,” said student Sophie Heyer. The school is experimenting with some different ideas on how to maintain slower traffic patterns and improve overall safety. Just this week, the school added a temporary speed bump west of the athletic field. There’s also a new third access point on Highway 55. “With the new back entrance, it’s lessened the flow a lot, and if you go to the back where the buses are at the back of the school, that also lessens it,” said student Aaron Gosch. School officials also try to keep foot traffic off the roads as much as possible. “Just getting anywhere within on our campus, you should be able to take a sidewalk and navigate through a crosswalk,” explained Principal Scott Gengler. Meanwhile, Plymouth police and city officials are studying traffic patterns around Wayzata High School. “To just look at the area as a whole, to make sure there isn’t any engineering related improvements that we can make,” said Deputy Police Chief Erik Fadden. School officials say students and the community needs to be extra vigilant when it comes to driving around the campus.